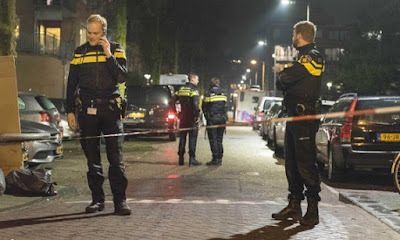 A shooting in downtown Amsterdam on Friday night left one person dead and two injured, Dutch police said. While police refused to name the victim, Dutch media reported that he was a 17-year-old boy of Moroccan origin. He was reportedly shot near a children's playground in front of a community centre where children were taking cookery and kickboxing classes. A wave of fear spread quickly throughout the Dutch capital, very popular with tourists, but Dortland said: "This is clearly not a terror attack, but a criminal incident." Shots were fired from an automatic weapon, according to shocked witnesses who said they saw a hooded man run away after his victim fell to the ground, Dutch media reported. "Many rumours are circulating, we must be very careful what people say, and not give in to the emotion," the police spokesman added.